NANO+POLYTM Premium Wood Sealer combines proprietary nanotechnology with the strength of polyurethane to provide 360° of protection. Its durable, breathable matte finish protects against wear and tear, UV fading and water damage. 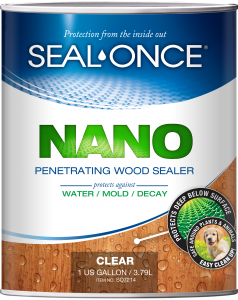 NANO Penetrating Wood Sealer deeply penetrates the wood surface to protect and stabilize against water damage and decay. The water based formula uses proprietary nanotechnology to form a flexible breathable barrier by coating the wood fibers at the cellular level. POLY Premium Wood Sealer shields wood from water damage and decay by forming a durable coating on the wood’s surface. Its enhanced UV inhibitors and superior abrasion resistance offer exceptional protection against the elements. 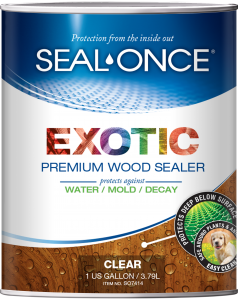 EXOTIC Premium Wood Sealer deeply penetrates the surface to protect and stabilize wood against water damage and decay. This water based formula uses proprietary nanotechnology to penetrate dense tropical hardwoods and coat the wood fibers, while providing additional UV and abrasion resistance on the surface. MARINE Premium Wood Sealer deeply penetrates the surface to protect and stabilize wood. It is completely eco-friendly, with ultra-low VOCs, and is safe to use around pets, plants, people and marine life. 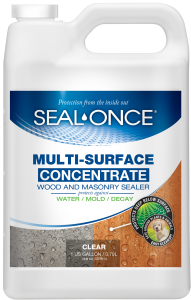 Multi-Surface Concentrate with NANO penetrates below the surface to preserves the integrity and stability of wood, concrete & masonry. It prevents warping, cupping, cracking & spalling; wood rot & decay; & inhibits mold, mildew & fungi growth. It is water based, Eco-friendly, has ultra-low VOCs and is safe to use around pets, plants and people. 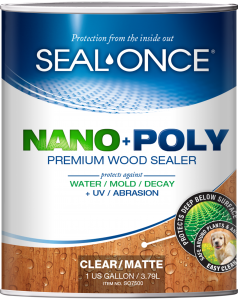 SEAL ENDS ONCE® deeply penetrates the surface to protect & stabilize the cut ends of wood & lumber against water damage. These cut ends are highly susceptible to water absorption and require added protection to guard against splitting. SEAL ENDS ONCE protects all types of lumber & is recommended for use with other SEAL-ONCE products. 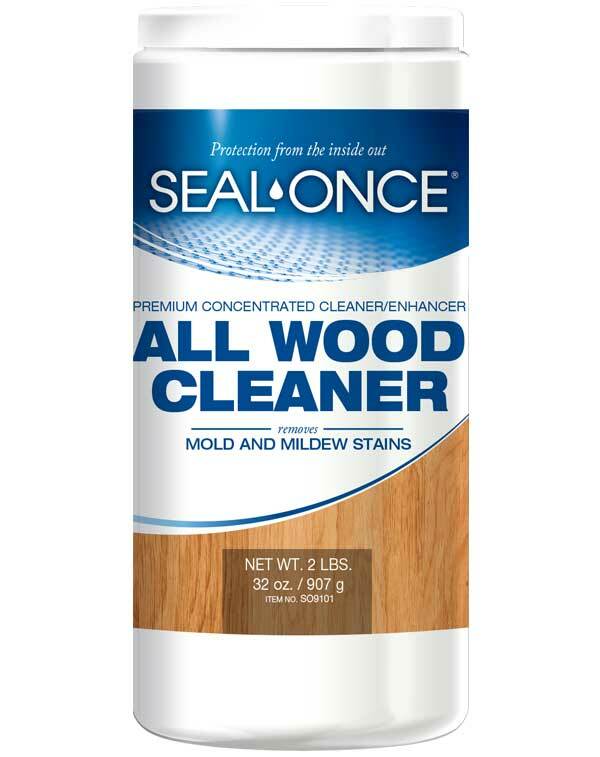 The concentrated formula of SEAL-ONCE All Wood Cleaner penetrates the surface to loosen dirt and remove discoloration, mold and mildew stains without the use of harsh chemicals. It restores the original color of the wood, making it look like new. A full line of rich Semi-Transparent Tints & Wood Stains that preserve and enhance the natural beauty of wood while protecting it from harmful UV rays. Our tints can be mixed into our NANO, NANO+POLY, EXOTIC, MARINE & MSC wood sealers to create a beautiful semi-transparent wood stain for any wood project.